New textbooks, dining hall card, cases of ramen noodles… going back to college can definitely drain your wallet, so make sure you get in on this deal from adidas. 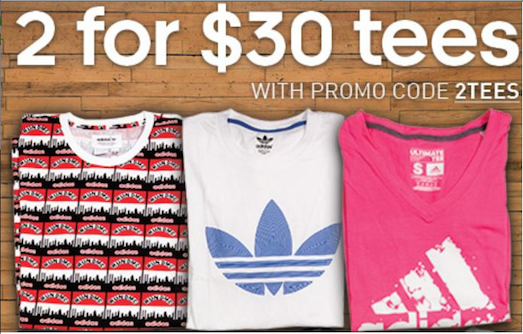 For a limited time, you can grab adidas 2 Graphic & Ultimate Tees for $30 ! Ultimate Tees feature moisture wicking fabric that makes them perfect for workouts or just layering under clothes for those freezing treks across the quad this winter. adidas Graphic Tees come in styles for both men and women, and bring a bit of old school iconic adidas into your wardrobe. Be sure to hit this sale, save some money and toss some style into that duffel—use promo code: 2TEES at checkout.